Register now to secure your place at this awards dinner and be the first to find out the winners of the BCI European Awards 2019. Join the BCI and other business continuity and resilience professionals from across Europe for an evening of award winning and celebrations, recognising the outstanding contributions of Business Continuity, Risk and Resilience professionals and organisations living or operating within the European region. 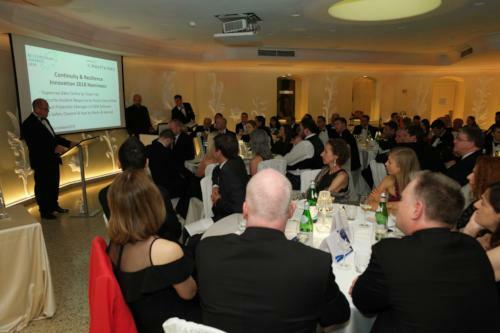 Click the button below to secure your place at this exciting dinner ceremony and be the first to find out who has won the BCI European Awards 2019. Please note: Discounts are available for tables of 10. Please email events@thebci.org if you would like to book a group discount. Registration for the gala dinner and awards ceremony closes 23:55PM, 06 May 2019.